Covering North Liverpool, Wigan, Chorley, Southport, Ormskirk, Skelmersdale, St Helens and surrounding areas. Here at Fun Science we have tons of experience of making science fun and are available to run workshops for Guiding and Scouting groups, Girls’ and Boys’ brigade groups, home education organisations, youth groups, schools and pretty much any other organisation you can think of! Our sessions can be used to kick off a science week, help complete a badge or simply to give children a brand new experience. Our wide range of equipment and enthusiastic presenters mean that your group will gain a completely new experience. We can either run a ‘best bits’ session with chemical reactions, electricity, slime making and sweet making or create a session to fit in with your chosen topic. Prices start from £60 and we offer discounts for charitable organisations and organisations booking more than one workshop. Each workshop is suitable for 10-100 children and can be adapted to suit key stages 1 (ages 4-7), 2 (ages 7-11) or 3 (ages 11-14). Got an enquiry or want to find out more? 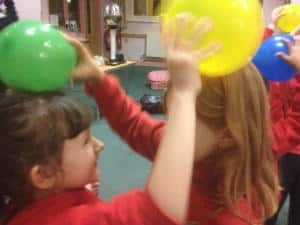 Email westlancs@fun-science.org.uk or call 07446149750 or 07494415066.